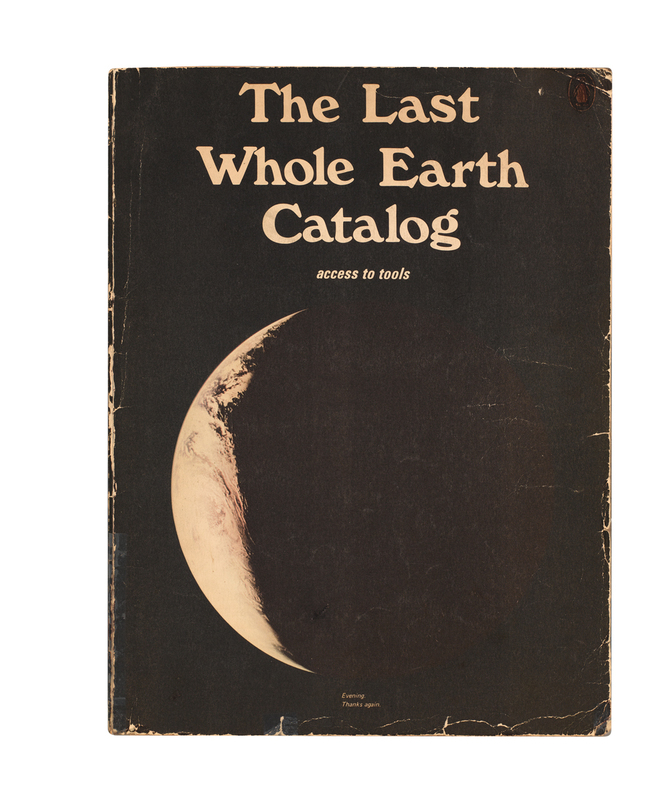 I fell in love with this vast, inviting and heartwarming publication the moment I saw it: the Fall 1971 edition of The Last Whole Earth Catalog (which was not actually the last one to be published). This listing of tools describes itself as an aid for the individual ‘to conduct his own education, find his own inspiration, shape his own environment and share his adventure with whoever is interested’. Despite its size (the format is 370mm x 274mm and it is 448 pages long), it is not in the least intimidating, thanks in part to its deceptively casual layout. At first sight the Catalog appears rather casually, even carelessly, laid out, but in fact it is a most ingenious confection. 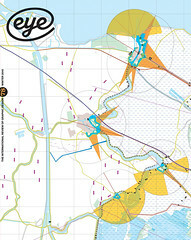 The balance of text and illustration, of long and short entries, and of typefaces, is carefully calculated. As for the subject matter: it is endlessly surprising, as the titles demonstrate. Starting with ‘Cosmic View’ and ‘Atlas of the Universe’, its later entries include ‘The Tao of Science’, ‘Organic Gardening without Problems’, ‘Edible and Poisonous Mushrooms of Canada’, ‘The Art of Blacksmithing’, ‘Batik for Beginners’ and ‘The Womanly Art of Breastfeeding’. As if this mix were not enough to be getting on with, it also has an episodic folk-tale threading through the work in the right-hand corner of every spread, always headed by a drawing of a dragon, its relevance unexplained – as is so much in the Catalog. I suspect that most of the drawings and photographs are lifted from their source without prior permission; certainly, no one asked me if they could reproduce one of my photographs, which I was delighted and honoured to find on page 367. I am reminded of the ferocity with which copyright-holders nowadays pursue those who ‘transgress’ in this fashion. For this reason alone, a contemporary Whole Earth Catalog would probably be inconceivable, since seeking permission and paying reproduction rights would be prohibitive. 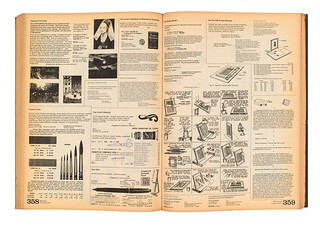 The Last Whole Earth Catalog has a flimsy paperback cover and its text pages are of browning newsprint. The fact that my own copy is still in one piece is a token of my high regard for this inimitable publication. Ken Garland is a graphic designer and former art editor of Design magazine from 1956-62. He has been visiting professor in graphic design at the University of Brighton since 2001. See Reputations, Eye 66.